Fanny Crosby was an American mission worker, poet, lyricist, and composer. She was one of the most prolific hymnists in history, writing more than 8,000 hymns and gospel songs, despite being blind from shortly after birth. She is also known for her teaching and her rescue mission work. By the end of the 19th century, she was a household name. Co-executive producer Stephen Kelly, an antique hymn collector, found unfinished and unpublished works by Crosby at Wheaton College in Illinois. 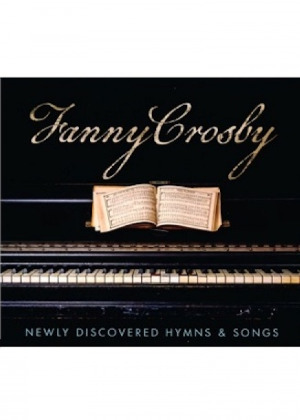 This discovery has led to a newly recorded project entitled, Fanny Crosby: Newly Discovered Hymns & Songs. This collection of 15 new productions features today's top artists in Inspirational, Bluegrass and Southern Gospel music. "This is a project that comes along only once in a career," stated co-producer Wayne Haun. "To comb through these unfinished works that were started over 100 years ago is humbling. Each writer carefully composed additional verses, choruses and melodies that remained true to the Crosby style. She was truly one of America's greatest treasures."